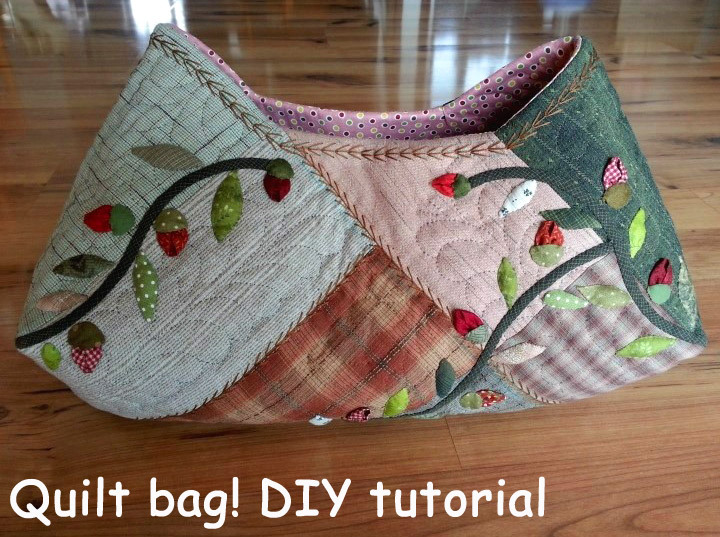 Quilt Bag tutorial. ~ DIY Tutorial Ideas! 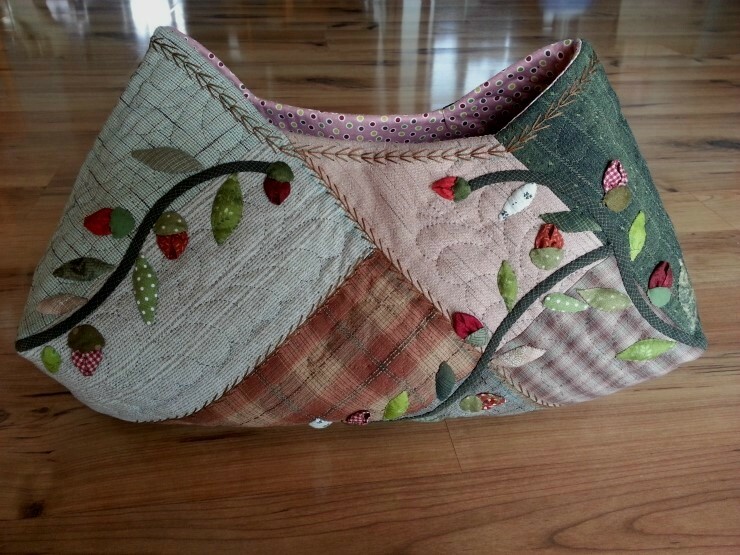 Home » bag , Patchwork , Tutorial » Quilt Bag tutorial. Quilt bag, dress with applique flower another view Quilt bag! Pattern. DIY tutorial. 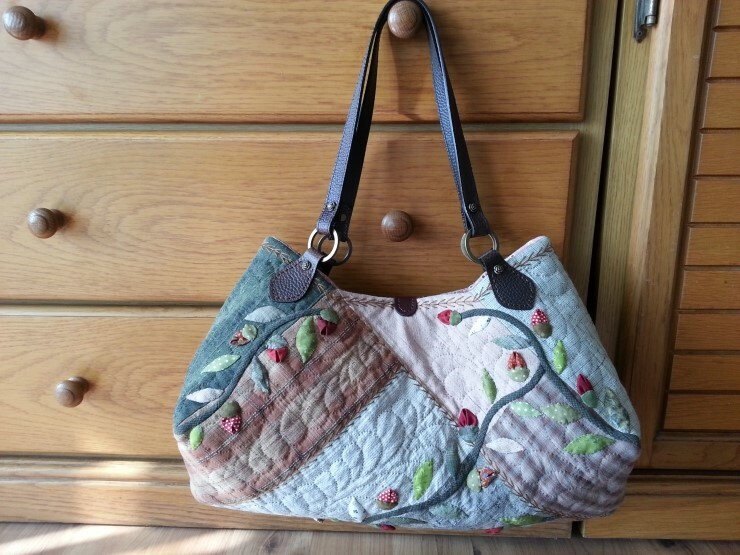 Beautiful bag, and lovely photos, if you put some measurements or create a PDFs, we could purchase the pattern! Keep up with the lovely designs. Absolutely beautiful, but with no measurements, I am going to be pondering this one for ages trying to work it out. I don't see how the lining is done either. 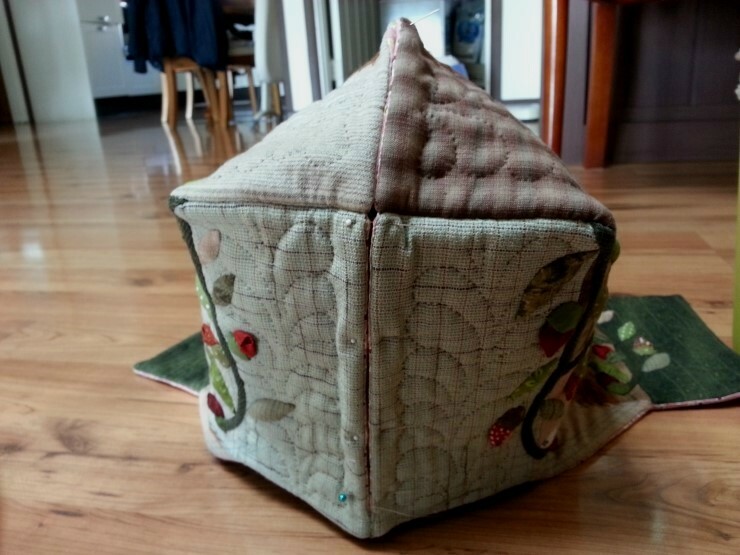 There is fancy stitching on the outside bit ther does not appear to be any inside. Very confusing. Hate to get lovely designs but no instructions. Every time I look at the photos, I get another ah-ha moment. I think I can do this. May just need to start with one rectangle and make a cardboard pattern. Was thinking about dollar bill size, maybe narrower. It really doesn't matter. 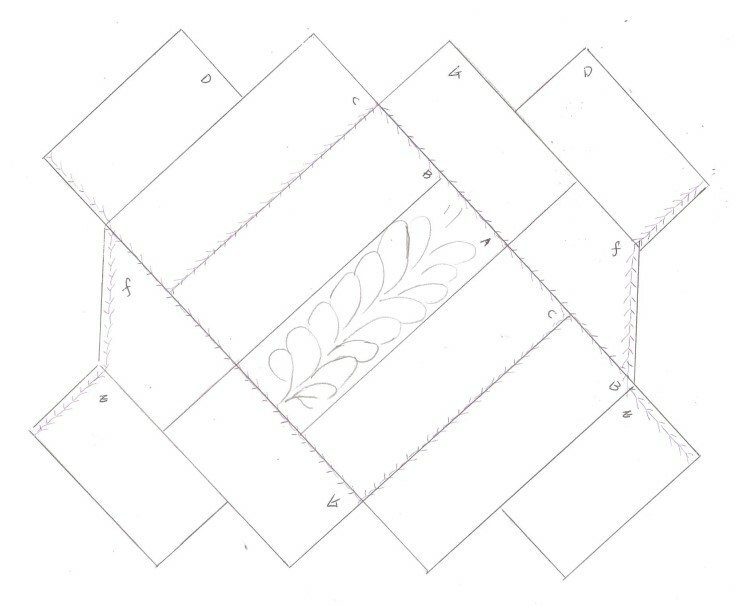 All the other pieces are based on your first rectangle. Your finished bag may be a little bigger or smaller. 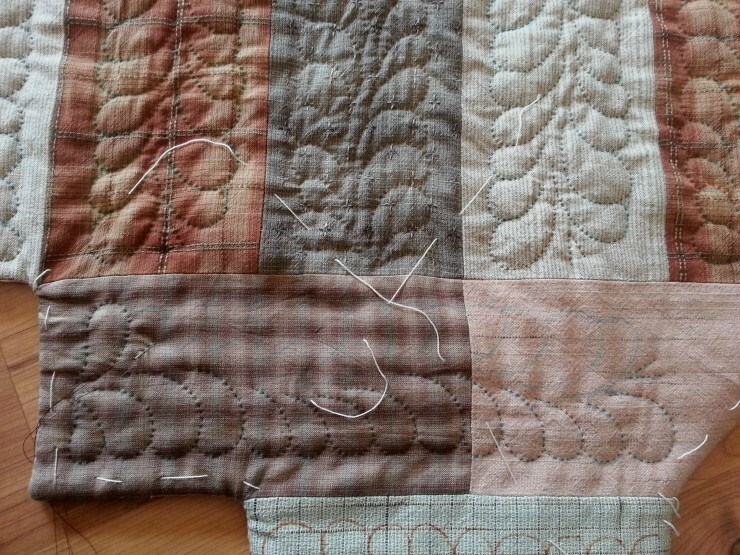 Decide if you want/need batting, then sandwich your layers, right sides together (batting on top or bottom but NOT between), stitch leaving an opening to turn. Looks like little pockets were added to lining.The folding up part looks most exciting. But it really looks like a learn-as-you-go project. My ideas might be off but I want to try this! 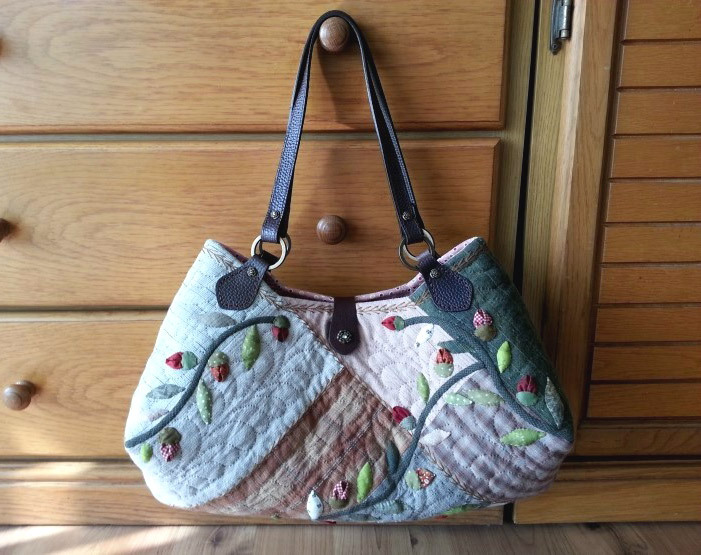 Beautiful bag - but not sure I could duplicate your results. 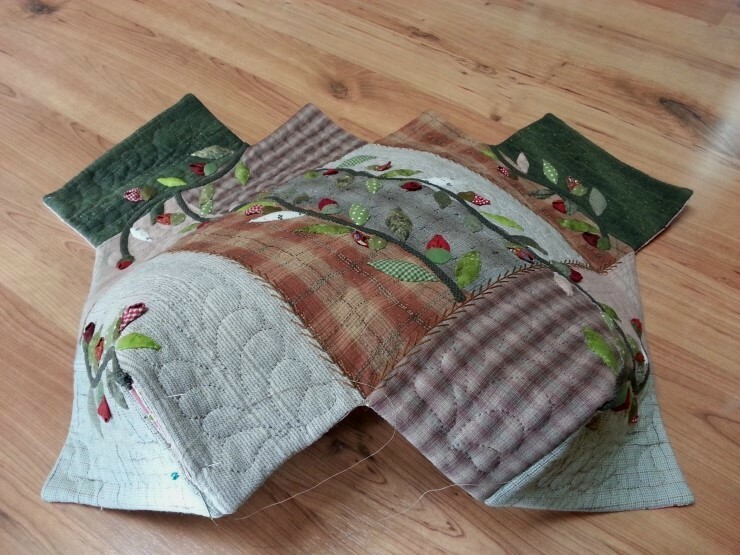 I liked the comment of trying a cardboard pattern and adjusting to learning as you go. bellissima mi piace molto grazie per la condivisione ma ritengo che mettere anche le misure sarebbe più completa !!!! I have admired this bag for months. 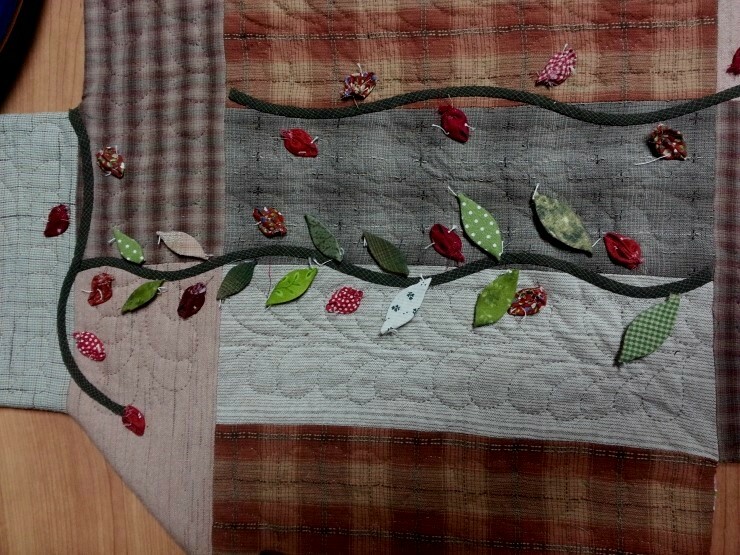 It is now pieced, lined and quilted and has stems attached. I forgot about the inside pockets, so I will have to attach them by hand after I add the rosebuds and leaves. 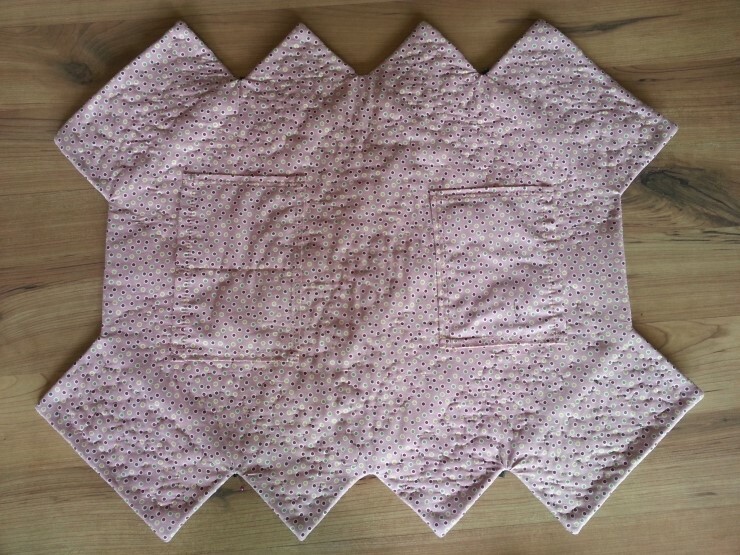 If I had thought beforehand, I would have tried quilting the top to unlined batting, then attaching pockets to the lining before attaching the lining. 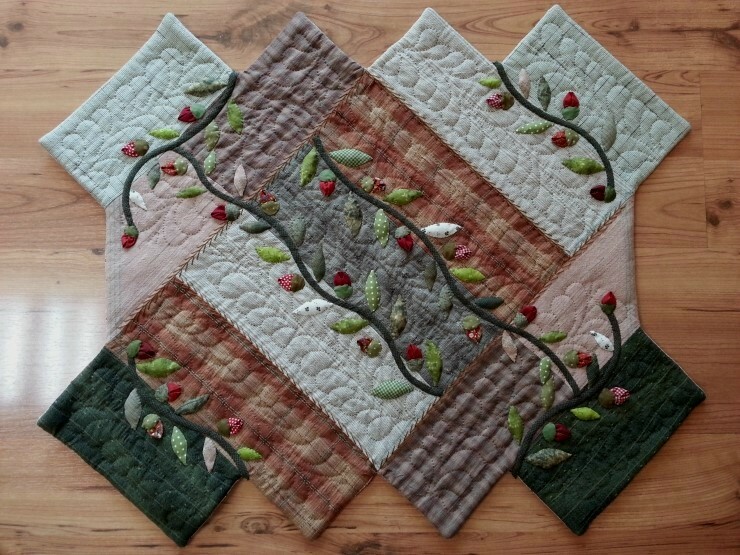 I based the pattern on 4”x 8" and 4" x 12" rectangles, with two of the larger rectangles having an extra diagonal half of a 4" square added to the pattern before cutting. These measurements do not include seam allowances. So far it looks promising as far as the size and shape go. Those pictures are excellent, but tutorial with an English translation would be fantastic. This lady is so artistic, and the bag a credit to her. Bigfoot, great to have some measurements. 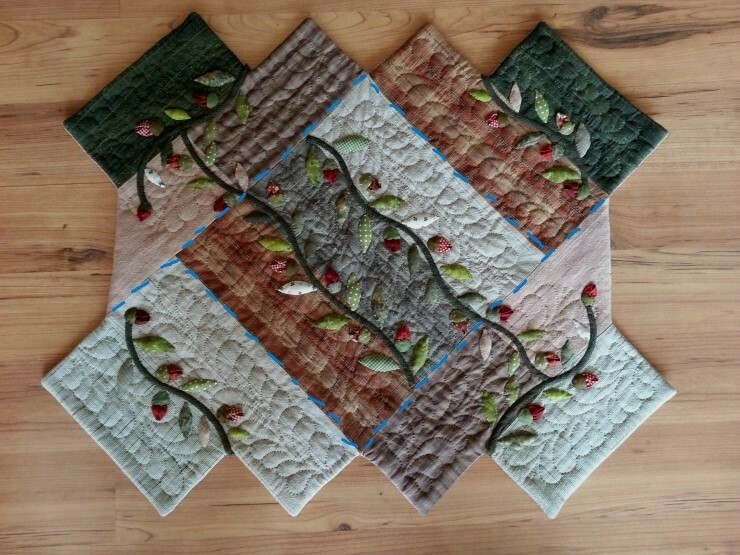 I was considering trying it with 3" squares. How large did your purse turn out to be? Thanks!! beautiful and clever bag. 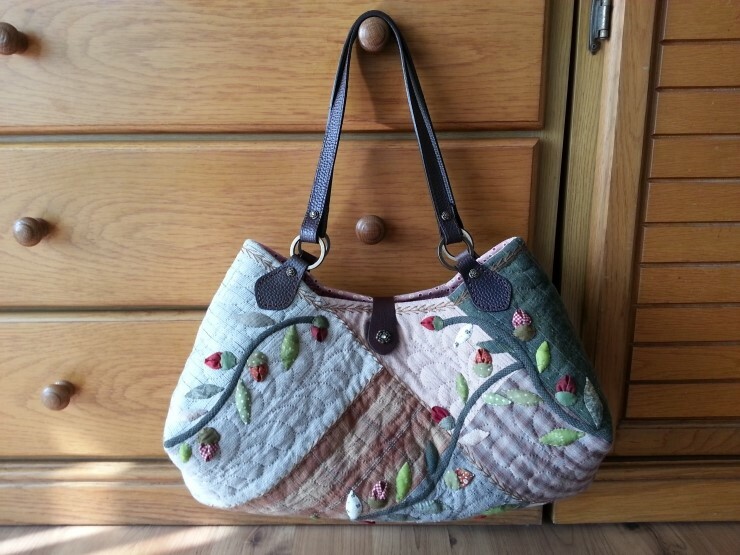 This is really pretty, I'm definitely going to try it out for a new fall bag. Thanks for the awesome tutorial! Beautiful. I don't have the patience to do anything like this, but I appreciate what is done. Just made one for my wife. Using Bigfoot's measurements from above it works out as a 16" wide, 11" tall, 7" wide bag. After piecing the exterior, I applied Pelon SF101 fusible stabilizer to keep it from stretching. I cut a piece of Annie's Soft and Stable batting (can use Pelon FF77 Flex Foam). 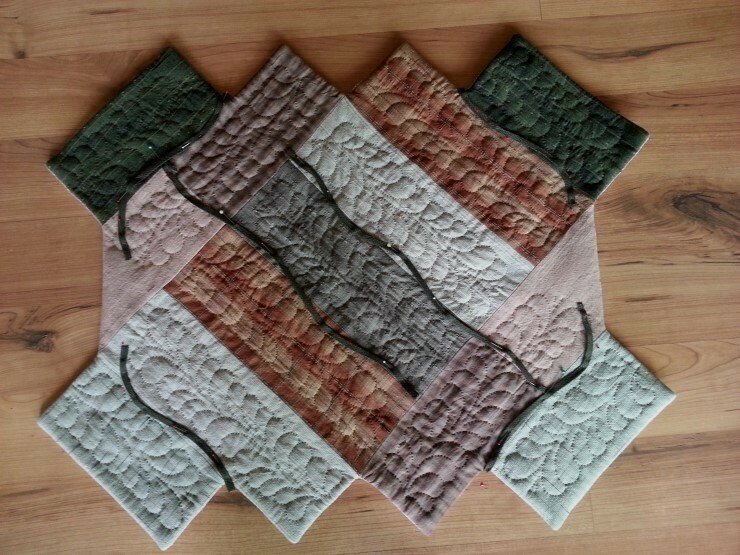 I quilted in-the-ditch along the seams of my piecing to hold the foam batting in place. 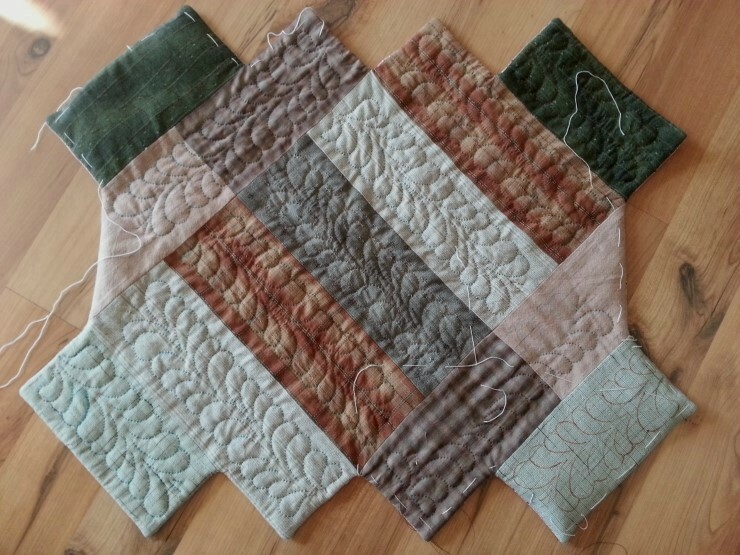 I then free-motion quilted feathers in most of the rectangles. I did straight-line chevrons on the end rectangles. 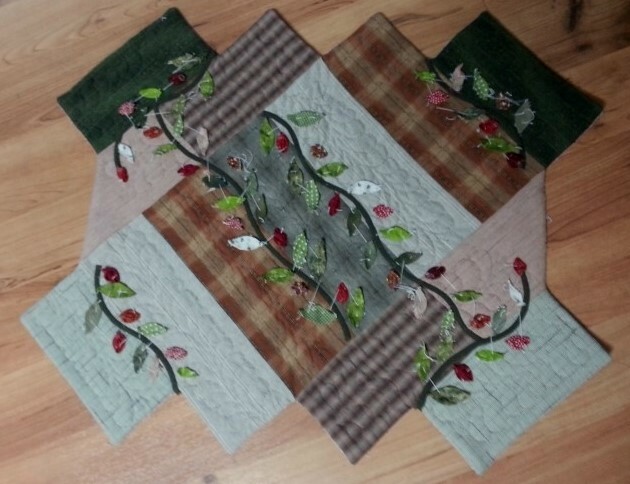 When I finished the quilting I cut out the lining. 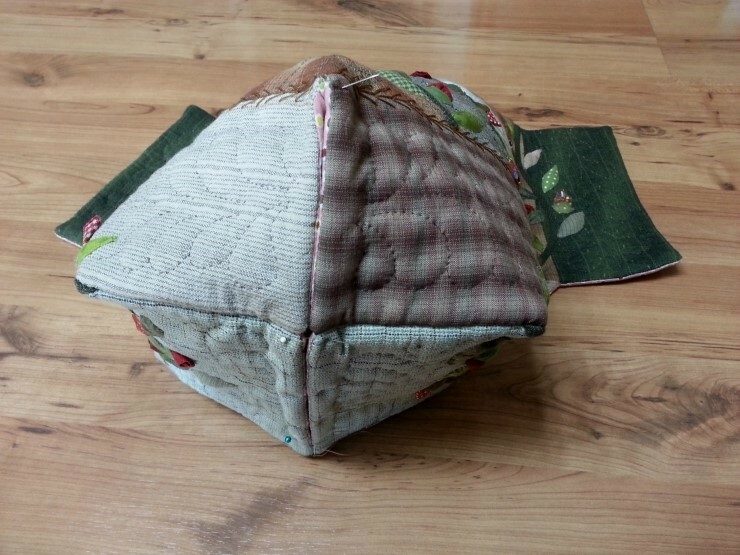 I then sewed the bag together, without the lining. I made piping and sewed it to the opening around the top of the bag. I ordered leather hands and hand-sewed those to the ends of the bag as shown in the pictures. I added patch pockets to the lining and I also added two zipper pockets to the inside of the lining. 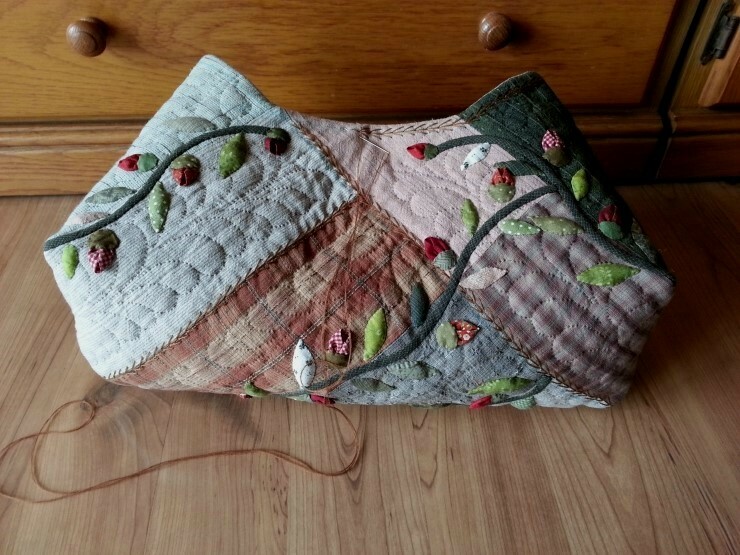 I then sewed the lining together as I did the main bag. 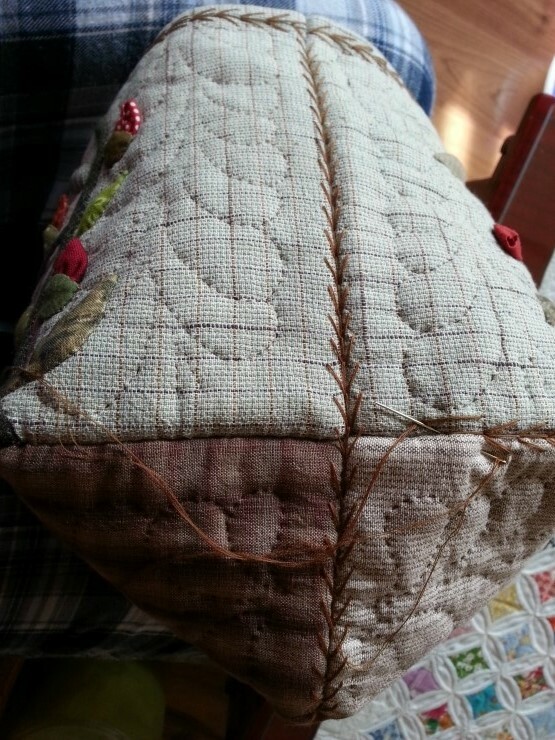 I then top-stitched the lining to the piping which finished the bag. It was a learning experience, but not too difficult. Good luck!